Tucker and his permanent head tilt. Vestibular diseases are a group of conditions that cause problems with balance and the ability to determine which way is up. The organs that tell us if we are standing up straight or leaning to one side are housed in the inner ear. Inside the bones of the skull, beyond the eardrum and the middle ear, are a complex set of tubes called the semicircular ducts. There are three ducts on each side of the head, each duct forming a loop like a basket handle, and each loop is bent in a different direction. Fluid inside these ducts moves whenever our heads move, and tiny hair-like receptors send messages about the direction of the fluid waves to the brain via the Vestibulocochlear nerve also called Cranial nerve VIII. Right next door to the semicircular ducts are the maculae, tiny areas where receptors sense the pressure of gravity on the fluid. This is how you know which way is up. Vestibular diseases can be central nervous system problems; problems in the brain itself, such as tumors, loss of blood supply due to a stroke or aneurysm, or trauma to the head that affects the brain. Alternatively, they can be peripheral problems somewhere along the nerves from the brain to the vestibular organs of the semicircular ducts and the maculae, or disease in those organs themselves. Because of their location in the inner ear, these structures are susceptible to problems that affect the ear. This can include infections that penetrate the eardrum and get into the inner ear, either from the outer ear canal or via the Eustachian tubes that connect the ear with the throat. Ultimately, any disease that affects any of the working parts of the vestibular system can cause clinical signs that would be described as vestibular disease. There are also congenital (inherited) vestibular syndromes described in the German Shepherd, Doberman, Cocker Spaniel, Smooth Fox Terrier, and Akita. These dogs show signs of balance problems, inability to walk properly, or head tilt within weeks of birth and often have hearing disability as well. Perhaps the most common vestibular disease seen in dogs is Idiopathic Vestibular Disease (idiopathic means ‘of unknown causation’ or more simply ‘ we have no idea why this happens’). 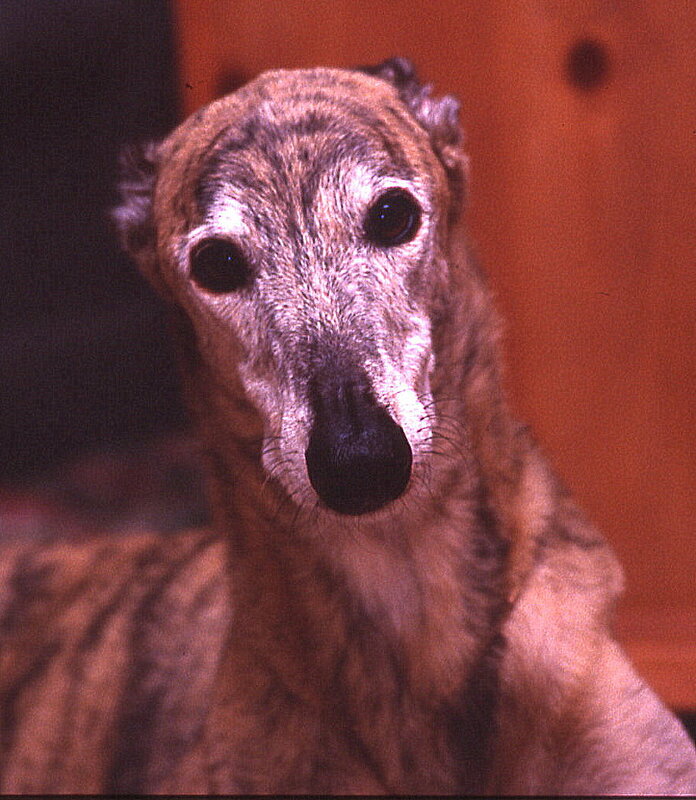 This form of vestibular disease is seen in older dogs. The onset is usually sudden, with severe balance problems, a head tilt, disorientation, circling, and often rapid, uncontrolled movement of the eyes. This can be very alarming, particularly in an older dog who may already be experiencing health problems. As the name implies, the cause of this form of vestibular disease is unknown, as is which part of the whole balance system is diseased, but it is usually self-limiting and resolves on its own without treatment within one to three weeks. Dramamine can help to lessen the nausea associated with this disease. These dogs need lots of TLC while they are recovering, as they may be unable to walk on their own initially. Interestingly, hypothyroidism has been implicated by some as a cause of vestibular disease and facial paralysis, in the absence of other signs of low thyroid levels. Unfortunately treatment with supplemental thyroid hormone is extremely variable and does not seem to impact on the recovery of most dogs with IVD. Another category of balance problems is called Central Vestibular Disease, implying that the part of the brain that receives information from the vestibular system via the vestibulocochlear nerve is affected. The signs can be similar to Idiopathic Vestibular Disease, with head tilt, disorientation, uncontrolled eye movement, and circling. However, there is often evidence of other dysfunction as well, such as facial paralysis, altered mental states, and loss of motor control to one or more limbs. These other signs of disability give some indication which part of the brain is affected. Signs of disease associated with tumor growth in the brain are usually slow to appear and progress, as opposed to the sudden onset of clinical signs in victims of stokes or trauma. Treatment of CVD relies upon diagnosis of the cause, which may require extensive testing, including a CT scan (computed tomography) to look for bleeding or tumor growth in the brain. Animals who suffer stroke or head trauma that affects the vestibular system often regain a significant portion of normal function with time, either because the area affected heals, or because the brain is able to adapt to the change ivand “reprogram” itself.